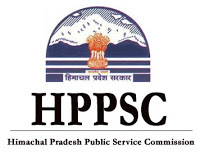 HPPSC Jobs Recruitment Notification 2018.Himachal Pradesh Public Service Commission, HPPSC inviting applications for the positions of Radiation Safety Officer, Agriculture Development Officer, Multiple Vacancy.Interested and Eligible candidates can apply for the positions. Last Date for Submission of Application is on July 09th, 2018..
2. Essential qualification(s):- (i) A post graduate degree in Physics from a recognized University; (ii) A Post M.Sc. Diploma in Radiological / Medical Physics from a recognized University; and (iii) An internship of minimum 12 months in a recognized well equipped radiation therapy department. (iv) An approval from the competent authority to function as Radiation Safety Officer. Or (i) A basic degree in Science from a recognized University, with Physics as one of the main subject; (ii) A post graduate degree in Radiological / Medical Physics from recognized University; and (iii) An internship of minimum 12 months in a recognized well equipped radiation therapy department. (iv) An approval from the competent authority to function as Radiation Safety Officer. 3. Desirable Qualification(s):- Knowledge of customs, manners and dialects of H.P. and suitability for appointment in the peculiar conditions prevailing in the Pradesh. 2. Essential qualification(s): B.Sc. (Agriculture) under four years Programme and M.Sc. (Agr.) 2nd Class from a College/ University recognized by the State / Central Government / ICAR. 3. Desirable Qualification(s): M.Sc. (Agriculture) 1 st Class or above. (ii) Knowledge of customs, manners and dialects of Himachal Pradesh and suitability for appointment in the peculiar conditions prevailing in the Pradesh. Age: 45 years & below. Department of Health Safety and Regulation under the Department of Health & Family Welfare, H.P. b. A Government Analyst appointed under the Act, or (ii) a Chemical Examiner, or (iii) the head of an institution specifically approved for the purpose by the appointing authority; Provided that only those Inspectors:- (i) who have not less than 18 months experience in the manufacture of at least one of the substances specified in Schedule-C; OR (ii) who have not less than 18 months‟ experience in testing of at least one of the substances specified in Schedule–C in a laboratory approved for this purpose, by the Licensing Authority; OR (iii) who have gained experience of not less than three years in the inspection of firm manufacturing any of the substances specified in Schedule-C appended to these rules during the tenure of their service as Drug Inspectors shall be authorized to inspect the manufacture of the substances mentioned in Schedule-C.
3. Desirable Qualification:- Knowledge of customs, manners and dialects of H.P. and suitability for appointment in the peculiar conditions prevailing in the Pradesh. 1. Date for determining eligibility of all candidates in respect of essential qualification(s) and experience, if any, etc., shall be the prescribed closing date for submission of OTRS i.e. 09th July, 2018.The candidates must read instructions carefully, which are available on website of the Commission before filling up OTRS for the post(s) concerned. 2. The candidates must ensure their eligibility in respect of category, experience, age and essential qualification(s) etc. as mentioned against concerned post in the advertisement to avoid rejection at later stage.Incomplete Online Applications submitted without requisite examination fee, scanned photograph & scanned signatures of prescribed size, will be rejected straightway. 3. The benefit of reservation for various post(s) will be admissible only to the candidates, who are bonafide residents of Himachal Pradesh in respect of categories, viz., S.C., S.T., O.B.C., Ex-Servicemen, WFF and Persons with disabilities (Loco motor Disabled / Visually Impaired/ Hearing Impaired) etc.The reserved category candidates belonging to other States will be treated as GENERAL CATEGORY CANDIDATES and the benefit of reservation and fee concession will not be admissible to such candidates. 4. In service (regular service) candidates may apply to the Commission along with requisite fee with information to their Head of Departments/ Employer for issuing NOC. No in service (regular service) candidate will be interviewed unless he / she brings NOC from the concerned employer.